This week saw The Brewery host clients for its summertime menu tasting; Sunderland Football Club showcase the Stadium of Light; and Chillisauce trial its new candy crafting class for corporate events. On Tuesday (11 August), The Brewery served a seven-course menu tasting for prospective new clients at the venue’s outdoor garden marquee. 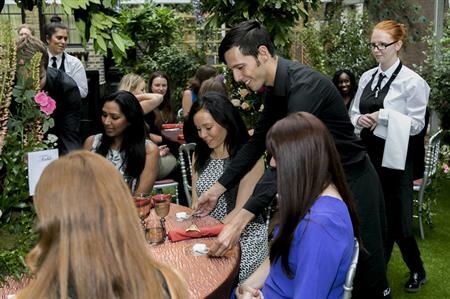 Some 70 guests from brands including Shell, Barclays, Unliever and EMAP enjoyed al-fresco dining in the marquee, which had been turned into an overgrown secret garden decked with floral designs by Hybrid Flowers. Food director Tom Gore, executive chef Steve Connell and new head chef Fernando Granzotto designed a seasonal taster menu and wines were matched to each dish, with Champagne on arrival and post-dinner espresso martinis served instead of coffee. Tuesday also saw hundreds of corporate supporters invited to the Stadium of Light, home of Barclays Premier League side Sunderland, for a special networking event ahead of the club’s first home game of the 2015/2016 season. The Countdown to Kick Off evening, organised by SAFC and its specialist subsidiary 1879 Events Management, included a chance to sample dishes from the venue’s new set menus, which are available for corporate and private events, as well as matchday hospitality. Guests were also invited to tour the stadium’s range of function rooms, which can accommodate up to 1,000 guests. 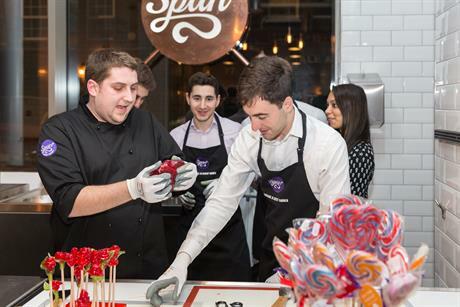 Also this week, the Chillisauce corporate team tried out its new creative candy crafting class, which is done in partnership with Spun Candy and will be available for corporate events. Everyone got the chance to make their own candy creation, and enjoyed eating them too.